Thank you to the publisher for sending me this book via Netgalley in exchange for an honest review. It's Christmas in the Cornish coastal village of Mount Polbearne - a time for family, friends and feasting. When Polly's best friend Kerensa turns up with a secret that threatens the life Polly and Huckle have built together, the future begins to look uncertain. And then a face from Polly's past reappears and things become even more complicated. Polly can usually find solace in baking but she has a feeling that's not going to be enough this time. Can she get things back on track so that everyone has a merry Christmas? As some of you may know I love Jenny Colgan. I think she's a fantastic author and her books always seem to leave me with a warm feeling inside. 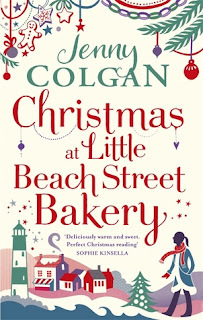 So, I was really excited when I found out she was releasing a Christmas book featuring the Little Beach Street Bakery. I was in the need to get into the Christmas spirit early so I knew this was something I had to read. 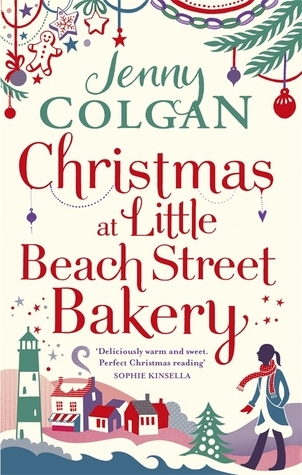 Polly Waterford loves running the Little Beach Street Bakery on the Cornish costal island of Mount Polbearne. Christmas always inspires Polly to make special treats for the festive season and the one thing she loves more than that is her boyfriend Huckle. This year she is determined to make their Christmas the best one ever. However, when Polly's best friend Kerensa shares with her a secret that threatens the lives of not just Polly and Huckle but all of their friends, the happy future she has envisioned looks uncertain. Can Polly get things on track and sort out the mess she has got herself into so everyone can have a merry Christmas? First things first, this book really did get me feeling festive, much so that I just wanted Christmas to turn up there and then. Also hearing about all them Christmassy bakes just made me hungry. But that is always bound to happen if you read a Jenny Colgan book. She writes about food in such a delectable way, that at times you just want to eat the pages. Mad but true. It was really great to delve into the world of Mount Polbearne and it's residents again. I loved finding out about them in the first two books and it was great to see how they have grown since Summer at the Little Beach Street Bakery. I enjoyed reading about Jayden (who I had a soft spot for in the first two books) and seeing how far he had come and how his life was on the up. I also enjoyed reading about how serious Polly and Huckle had become and how they were building a life together. It was so heartwarming. There were definitely a few tense moments throughout the story, and at times I wasn't sure what was going to happen and I was left feeling shocked. You thought the story would go one way, but then it went in the completely opposite direction. For a chick lit it was quite gripping and I didn't want to stop reading. It was good to see how these characters dealt with issues that they hadn't dealt with before and in some ways it made me see them in a different light. However, there are also some light-hearted moments in the book, one involving Polly, Huckle and their puffin Neil going on a walk. That scene made me laugh out loud. I throughly enjoyed Christmas at the Little Beach Street Bakery. It definitely filled me with festive cheer and made me feel all warm and fuzzy inside. 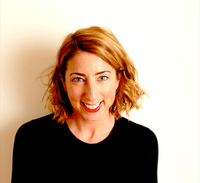 Jenny Colgan's writing style is easy to read and this helped me become utterly absorbed into the story. I don't think I have found a book of hers that I haven't liked yet, and I can tell you I don't think I ever will. Jenny Colgan was born in 1972 in Prestwick, Ayrshire, Scotland, UK. 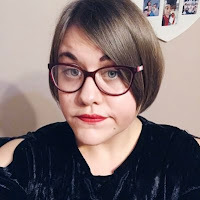 After studying at Edinburgh University, she worked for six years in the health service, moonlighting as a cartoonist and a stand-up comic, before the publication of her first novel Amanda's Wedding in 2000. In 2013, her novel "Welcome to Rosie Hopkin's Sweetshop of Dreams" won the Romantic Novel of the Year Award by the Romantic Novelists' Association. She is now working on her next novel. She mostly lives in France, with frequent visits to London. She occasionally writes for The Guardian newspaper, as well as a TV series.